On this day when we honor Dr. King and all his accomplishments, we also think of the work that is left to do in our world. We know that our world is still heavy with injustice and we also know as educators we can do something about that. We can empower our students to be the leaders that the world needs! 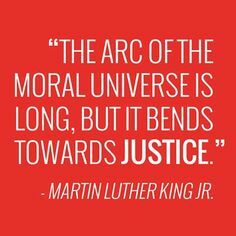 We can make sure our classrooms reflect the justice we seek in the world! Need some inspiration for that work? Check out these amazing young leaders who are leading the way and this great Edutopia post on Creating Classrooms for Social Justice. Hope you have a great start to the week!! Previous postAre you waiting for the perfect time to change the world?